Biohazard and trauma scene cleaning. Our staff is dedicated to returning your home or business to its original condition and we’ll do what it takes to make that happen. The owners of RestorationMaster take an active part in the business and are committed to providing outstanding customer service. The entire staff strives to provide the highest quality restoration and cleaning services for our clients. Call RestorationMaster 24 hours a day, 7 days a week for emergency disaster remediation services in homes and businesses in Melbourne, FL and surrounding areas. Water causes more damage to the interiors of homes and businesses than any other disasters, mostly because it comes from so many different sources. Heavy rain, flooding, broken pipes, leaking appliances, overflowing tubs, and clogged sinks can happen at any time. 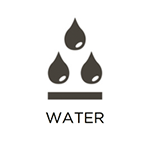 Water soaks into porous household materials like drywall, textiles, and wood, spreading further through the building and causing fibers to expand and warp. Even worse, mold growth destroys items without fast remediation. The experts at RestorationMaster can provide complete water damage restoration to homes and businesses in Melbourne, FL and surrounding areas that have experienced all types of water damage. We can restore and rebuild water-damaged items and structural elements, as well as repair the original source of excess water. 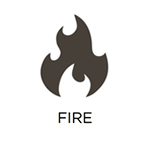 Fires are the most hazardous disasters because they pose an immediate danger to everyone in the vicinity. They move fast and threaten both lives and property. The threat of damage isn’t over once the flames are out; toxic fumes, smoke, and even byproducts from fighting the fire continue to damage your home or business unless restoration begins quickly. RestorationMaster provides full-service fire and smoke damage restoration to residential and commercial clients in Melbourne, FL and the surrounding areas. We can rebuild structural damage, stop the corrosive damage done by soot and toxins, and eliminate the overpowering smell of smoke. We will remove all traces of the fire quickly so you can get things back on track. 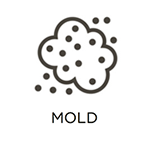 Mold spores are commonly found in air, but when they encounter a source of moisture in food-rich environments like modern buildings, they grow quickly and have devastating effects. It’s important to take mold seriously because it can get into hidden places like walls and spread throughout the building. Mold not only damages surfaces like drywall, textiles, and wood, but it also causes allergies like eye and lung irritation. People exposed for a prolonged period can have worse symptoms and even develop infections. RestorationMaster provides comprehensive mold remediation for homes and businesses in Melbourne, FL and the surrounding areas. We test for mold to find it even in hidden places, and our advanced cleaning products and equipment ensure that we will destroy all traces of it. Disasters do more than just damage buildings and personal property; they can leave behind horrible odors. Mold and standing water usually leave musty smells behind, and the smoke from a fire has a very distinctive odor. These and other foul smells are absorbed into soft surfaces like upholstery, carpet, and textiles. Fabric refreshers won’t cover these odors, they must be cleaned at the source. RestorationMaster provides a wide range of deodorization services for residential and commercial clients in Melbourne, FL and the surrounding areas to remove all kinds of bad smells the first time. Our experts use the best products available in the industry to safely and effectively remove even the worst odors and keep them from coming back. When a disaster affects a building, most likely the contents will be affected too. Floods, fires, and mold cause extensive damage to your personal property, and without proper remediation, the damage will be permanent. Remediation must be started quickly, especially when it comes to delicate items like electronics. RestorationMaster provides residential and commercial clients in Melbourne, FL and surrounding areas with comprehensive content cleaning services following a wide variety of disasters. Remediation is usually performed on-site, but if the building isn’t secure, we’ll inventory and pack-out damaged items and transport them to our secure facility for restoration. We’ll deliver them back to you when restoration is complete. It’s impossible to know what will happen during a disaster, or what kind of damage will occur. Some disasters leave the structure of your building vulnerable, with gaping holes in roofs, windows, or walls. Without protection, anything inside is at the mercy of the weather, wild elements, or criminals. In extreme cases, the structure itself needs to be reinforced to prevent further damage. Most people don’t have the tools, equipment, or experience to handle a project like this. RestorationMaster provides emergency board-up services to homes and businesses in Melbourne, FL that have experienced a disaster and need structural reinforcement. We’ll cover all holes in the building to protect the contents against the elements and intruders, and reinforce the building until permanent repairs can be made. The aftermath of a disaster is a hectic time, and trying to find contractors you can trust can be tricky. A project that requires multiple contractors means more stress if you’re trying to manage everything yourself. The staff at RestorationMaster has over a century of combined experience, so we can manage any reconstruction project from start to finish, including obtaining permits and arranging inspections. 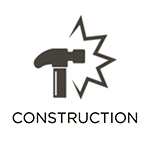 We have general contractors on staff, so there’s no need to rely on subcontractors. Every day, multiple times a day, someone in this country encounters a trauma scene, so it’s important to know what to do. Never disturb a trauma scene; call 911 immediately. Never try to clean it yourself. 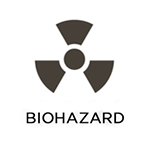 Biohazard materials like blood, tissue, and other bodily fluids can easily spread disease unless properly cleaned. Commercially available products can’t sanitize the area and these items can’t be discarded in household trash. RestorationMaster provides discreet, high-quality biohazard and trauma scene cleaning services to homes and businesses in Melbourne, FL to remove biohazard materials and restore trauma scenes so they’re safe to inhabit again. Our staff works in cooperation with law enforcement during any investigations, and we treat clients with compassion and respect during this difficult time.